Some of the names to have made headlines include the artist Salvador Dali, whose body was exhumed last year for a DNA test after a woman claimed to be his daughter and entitled to a share of his $1bn estate. Former South African President Nelson Mandela left the bulk of his estate to his current wife, but his late ex-wife Winnie challenged the will, claiming that a country home was rightfully hers. Or actor Robin Williams, whose children of his first and second marriage found themselves in a legal battle with his third wife over distribution of his $100m estate. As with Mandela and Williams, many of these disputes arise because of re-marriage, where children or spouses from different relationships challenge a decision that they feel is unfair, and with rising property prices, often families can see more to fight for. In figures published by the Royal Courts of Justice, claims under the Inheritance Act 1975 rose by almost 40 percent in 2016. And while many people think they can challenge a will on the basis that a parent should leave their estate to their children, or because they lived together as if they were married, the basic rule under English law is still that an individual can leave their assets to whoever they like. However if a spouse, child, cohabitee or other dependant can show they have not been left adequate financial provision under the will of a deceased person, a claim can be made under the Inheritance (Provision for Family and Dependants) Act 1975. The Act can also be used to make a claim when there is no will. Here, the intestacy laws come in, which determine how the estates of those who die without having made valid wills are distributed. As these are not reflective of today’s relationships, cohabitees or civil partners will find themselves excluded and a claim under the Inheritance Act may be the only option. Where a claim is made under the act, the court can exercise discretion and award reasonable financial provision out of the deceased’s estate, whether there is a valid Will in existence or not, but two recent cases highlight the challenges involved in predicting the outcome of such action. For Carole Anne Taylor, who lived with her partner James Redmond for seven years before his death, a claim for financial provision was successful. She was able to show they had lived as a couple and she had cared for him when his health failed, and that she had limited retirement income and nowhere else to live. The estate had been left to Redmond’s two daughters, who had insisted on selling the property the couple had shared, forcing Taylor to move in with her son. The daughters challenged the claim, arguing that Taylor was just one of many girlfriends. But the judge said their evidence lacked credibility and ruled that Taylor should receive regular payments to top up her pension income and a capital sum to enable her to buy a property, with the property reverting to the daughters upon her death. But when Danielle Ames claimed that her father should have provided for her, instead of leaving his entire £1m estate to his second wife of 30 years, she was unsuccessful. Her claim was based on having previously worked for one of her father’s businesses and his ongoing contribution to her maintenance; she argued that being left out of his will left her facing crushing debts and a shortfall of £2,000 per month. She claimed £300,000 as reasonable financial provision, but found herself with nothing, when she failed to convince the judge, who dismissed the case saying her lack of income was a ‘lifestyle’ choice and questioned the extent of the contact and the warmth of the relationship she had with her late father. Said wills and trusts expert Stephen Beck, Managing Director and Solicitor of Maidstone-based solicitors Whitehead Monckton: “These disputes can often excite strong emotions and a sense of injustice, but it’s important to get advice before you start, as you may be in for the long haul. Each case tends to turn on its own very particular circumstances, and it’s important that you have a credible, reliable claim. He added: “But this is after the event advice for unhappy family members left behind, and if you want to leave the gift of family harmony, the best option is to deal with the difficulties in advance. 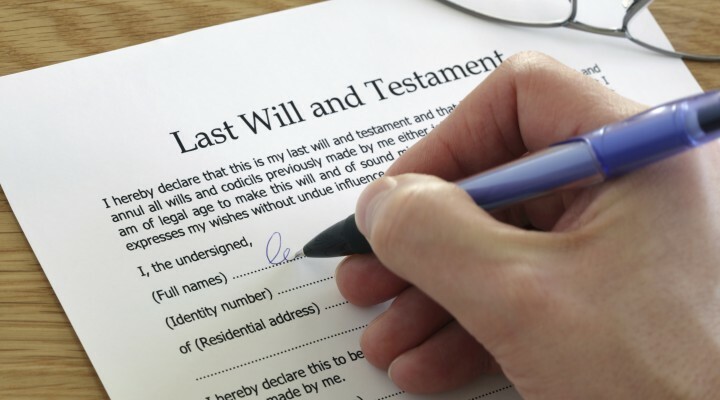 When you are estate planning, make sure your will is kept up to date and that it is properly drafted and executed. A specialist lawyer will highlight any areas that may lead to challenge later, and help you work through the possible scenarios. They may also be able to suggest arrangements that will satisfy what may have appeared to be irreconcilable claims.